Are you simultaneously bored and overwhelmed when you try to learn grammar? 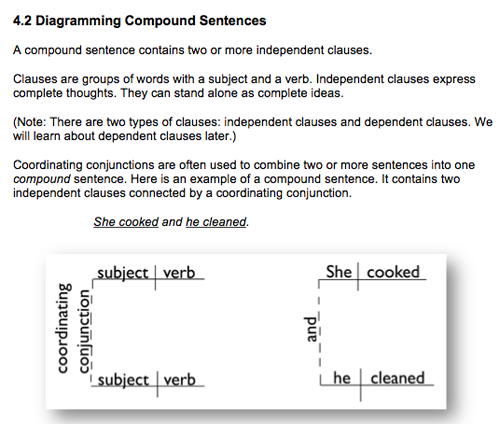 If you and your students groan when it's time for grammar instruction, sentence diagramming is the answer! 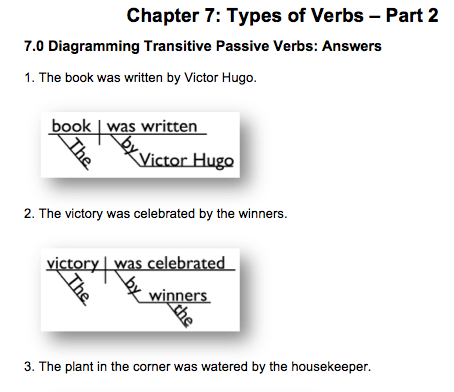 Diagramming sentences is an effective and engaging way to learn grammar. It works and it's fun! This book will show you everything you need to know. These grammar exercises will work for you whether you're a teacher, a student, a parent, a writer, or just someone who wants to feel more confident with grammar. I started using your grammar exercises in my writing classes, and the students are quite engaged. This material is confidence-boosting and educational. I feel equipped to explore a whole new world of knowledge simply because I have a fuller understanding of how the sentence works. 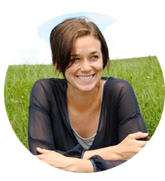 You'll feel confident about your writing, and you'll have a tool for correcting your sentences. You'll actually enjoy the learning process. 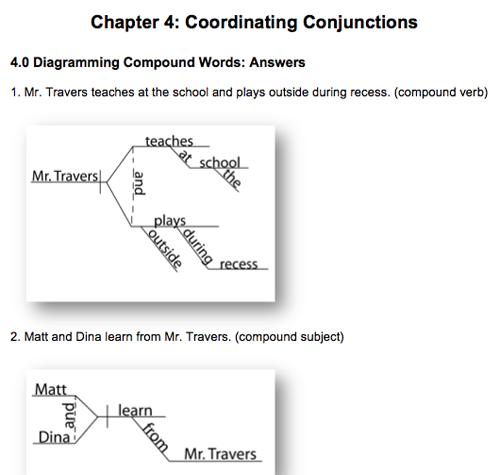 Diagramming sentences is like solving fun word puzzles. You'll remember what you learned. 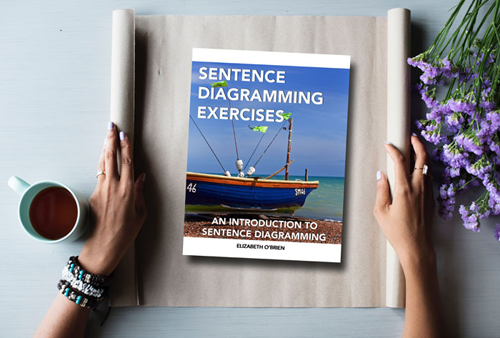 Since you'll be learning grammar with the visual help of sentence diagrams, you'll understand the concepts better, and you'll have better retention of everything that you learn. Everything you need to know is broken down into 11 chapters. These chapters give you just enough content so that you and your students are challenged but not overwhelmed. The chapters start with easy concepts and gradually get more difficult. Each chapter builds on the information learned in previous chapters. You'll gain a solid understanding of the parts of speech, independent clauses, dependent clauses, verb phrases, prepositional phrases, gerunds, infinitives, participles, and more! The easy-to-use table of contents makes it a breeze to find what you are looking for. All of the answers are in the back of the book, so you can easily check your work or grade your students' work. You can use it in your classroom or as your own personal study guide. This book is perfect for grade 4 - adult. Whether you are a teacher or an adult learner, this book is right up your alley. Unlike (I presume) many of your students, I am actually learning a foreign language in which the object of the sentence is the most important bit. Speaking English, I took our sentence structure for granted never considering the grammar. The methods used in your courses are invaluable. Where I once looked for objects in sentences that weren't there, now I draw the sentence and find it easily. I read a sentence and the attributes are jumping off the page at me, mapping the diagrams in my head. Thank you so much for this amazing resource. It makes me look at English and my foreign language in a new light. I find sentence diagramming fun, and my confidence is slowly but surely growing. I think I've missed out on a lot since my teachers never taught me this brilliant way of learning English when I was in school! I would definitely recommend my friends use this method. 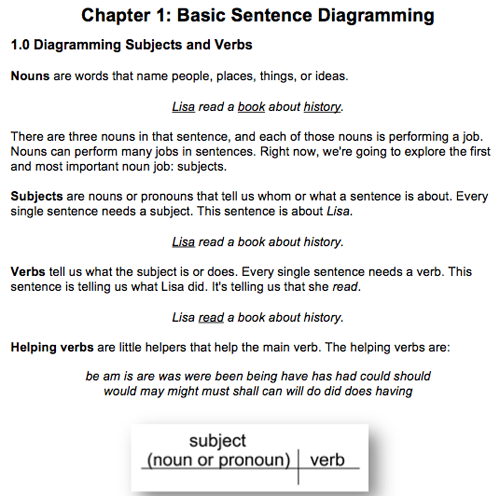 I used your Sentence Diagramming Exercises book last year in my 8th grade ELA class and loved it! 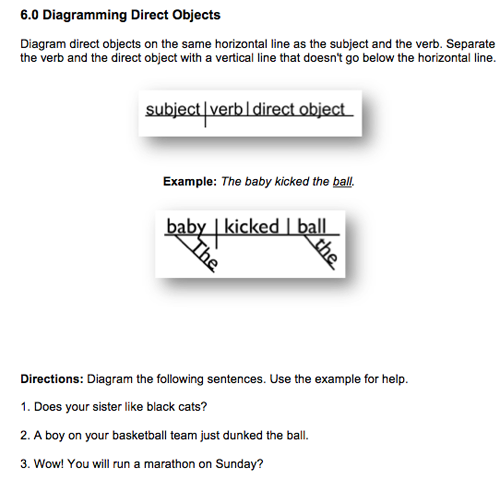 Sentence diagramming has helped my students form complete sentences! 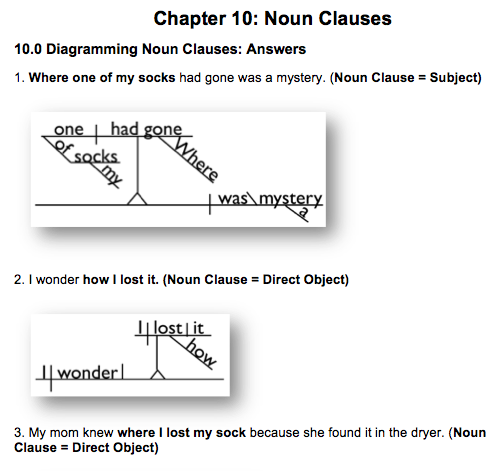 To be honest with you, the only way I can stomach studying grammar is through sentence diagramming. I have a "normal" grammar book, but I get so fed up trying to learn all of the rules and the exceptions to the rules. I told my students that diagramming would help them see how words fit together and would help them to become better writers. After a few weeks, they agreed. I didn't "get" grammar at all growing up, and I was scared of it. Teaching it is terrifying for me. However, diagramming is helping me, so I am teaching it to my students as well. 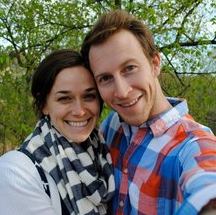 Thank you for inspiring me to love grammar and to feel more confident. 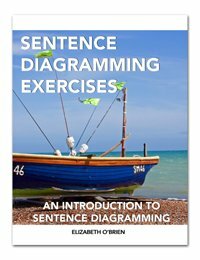 We love sentence diagramming, and we think that you will too.